Ladies and gentlemen...We may just have a winner in our midst! 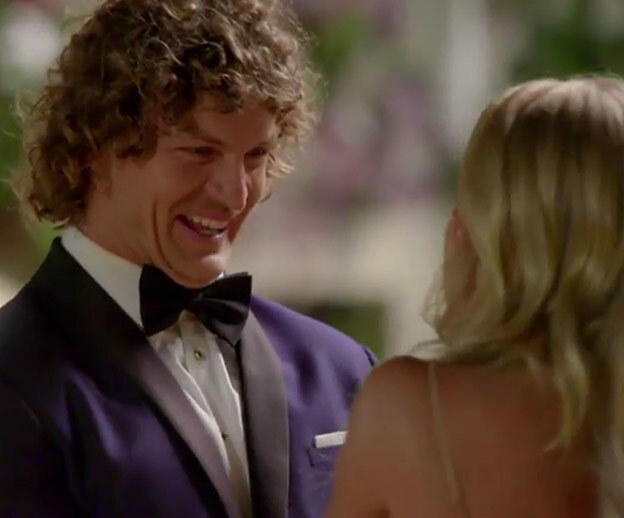 Holy Honey Badger, Nick Cummins has kicked off all sorts of goals tonight for the premiere of The Bachelor Australia. The footy star couldn't be more chuffed to have met the 25 lucky ladies contending for his heart. 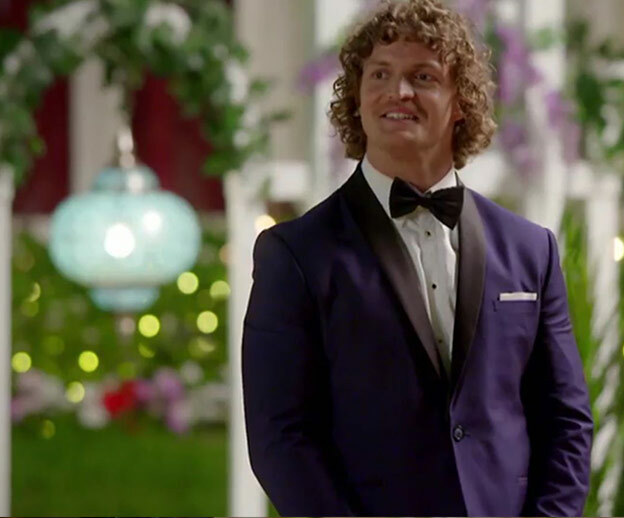 But out of the 25 Bachelorettes, we have the 4 contestants who are most likely to win Nick's heart on The Bachelor Australia 2018. Think Badger, think! Who will Nick pick to be his lifetime honey? Watch their very interaction below! Guys, we're 100% onto a winner here. A very big drum role for Brittany. The lovely 30-year-old hails from Port Macquarie, where - wait for it - Nick Cummins was born! "Britt… I was chasing a Britt in preschool," Honey joked. And the flirt-fest was on with Brittany quickly replying, "Actually I think you were the boy I was running from." She joked that she was on the show for the "buffet"... And we're guessing Honey would love that! The promo for the series showed MANY dates featuring Britt... We're onto you Ten! The bookies have placed a whopping $2.30 on the radiographer to take out the title. Meanwhile Nick's final thoughts on Brittany: "Brittany had a certain confidence about her. She's travelled and you get that. You come back and you know a bit more about yourself and that's attractive in itself." 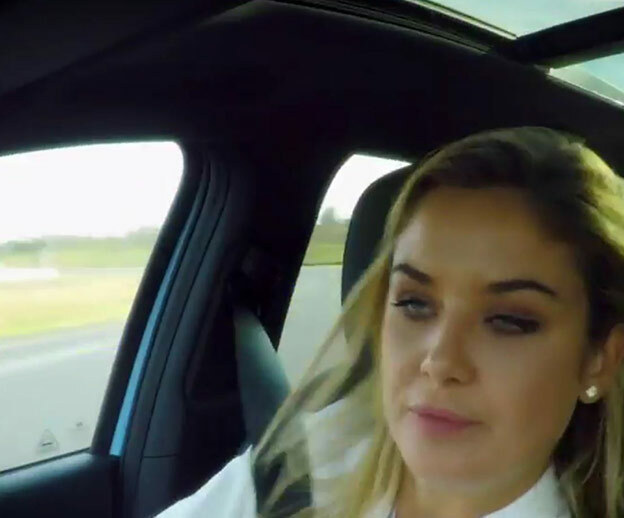 As for the Bachie hopeful: "I like him. I think good things must come out Port Macquarie." Check out her ballsy entrance underneath! Brooke was the second girl off the rank, and if classic Aussie nursery rhymes have taught us anything... Second is indeed the best. The 23-year-old proud Indigenous Australian wowed dear-ol' Nick with her balls... Rugby, that is. "The reason I brought these is that I'm a massive lover of sport. I play both types of rugby, union, league and AFL." Our footy extraordinaire, who is now our Bachelor, seemed to be flustered, saying, "Jeez! You're quite talented. Probably where the abs come from!" "Brooke seems like an absolute sweetheart. She's got no idea what I do." And in case you can't read between the lines, Nick gushed, "I really liked her!" Telling the pretty youth worker, he shared, "Brooke you've really thrown some spice into the mix." As she walked away, kicking one of the footballs Nick said, "What a beautiful girl, fit sporty – wow I really liked her. " 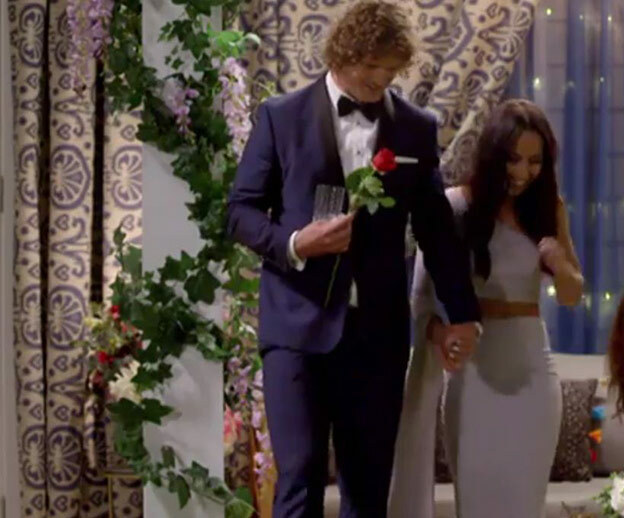 And it's a jackpot for Brooke as well, who is the lucky lady to receive the sparkly brand new Bachelor Key! For a real spoiler alert... Nick Cummins aka Honey Badger himself said that the lady that got the key, got his heart. But the girls weren't too happy. We know what pot your paws have been in! Watch the moment Cass realises she's dated Honey before. We have one every season... And this year Cassandra Wood is the one that got away. 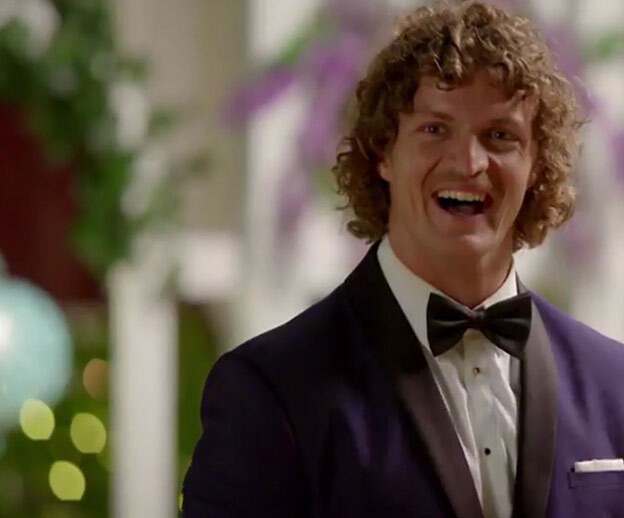 Cass Wood actually knows Honey Badger - and unlike Bec Chin circa Sam Wood - Nick Cummins is fully aware of their past interactions. Cass really likes Mr Badger. We reckon Honey is stoked! "I actually know him! I can't believe he's here! I met him through playing rugby and he actually goes to my gym. I don't know what to say," Cass eloquently says to the camera. Keeping his cool, Nick smirks, "Hello, hello fancy seeing you here! You look great Cass, how are ya?" The footy star pretty much makes it very clear that Cass is going to go a long way, thanks to their history. "The timing wasn't right before because she was doing her thing and I was doing my thing." 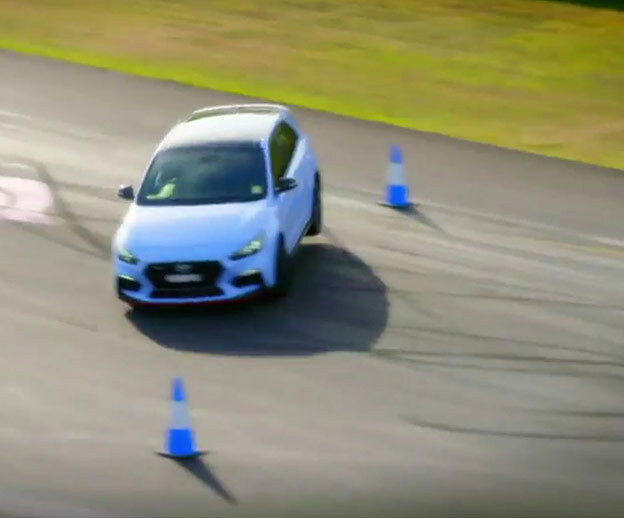 Looking like a kid in a candy shop, he added, "It was a hell of a surprise!" And we know Cass is on board, with the pretty blonde gushing, "I'm honestly really, really happy right now. I feel like there's a connection there!" 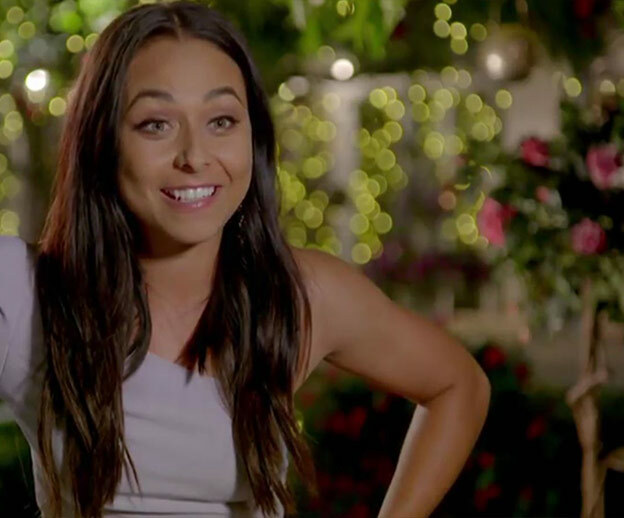 Rounding out our top 4 girls on Nick Cummins' The Bachelor 2018 is 25-year-old property valuer Sophie. Hailing from the north of our sun-kissed lands, the Queenslander had a very cute entry. We love a good first meet gimmick. And Nick seems impressed too. Dressed in a sublime blue gown, her pearly whites caught Nick's eye, as he gushed: "Look at that smile!" Soph cemented her spot as our dark horse, when she presented Nick with a remote control boat. "I love to be out on the water on the weekends boating, jet-skiing..."
The pair have a very cute speed boat race, and we think this could be the beginning of something special! Plus the promo shows that she scores some one-on-one time with Nick. You might not agree... Meet the women vying for his heart! Need more Bachie? We have some stellar stuff Cummins your way!